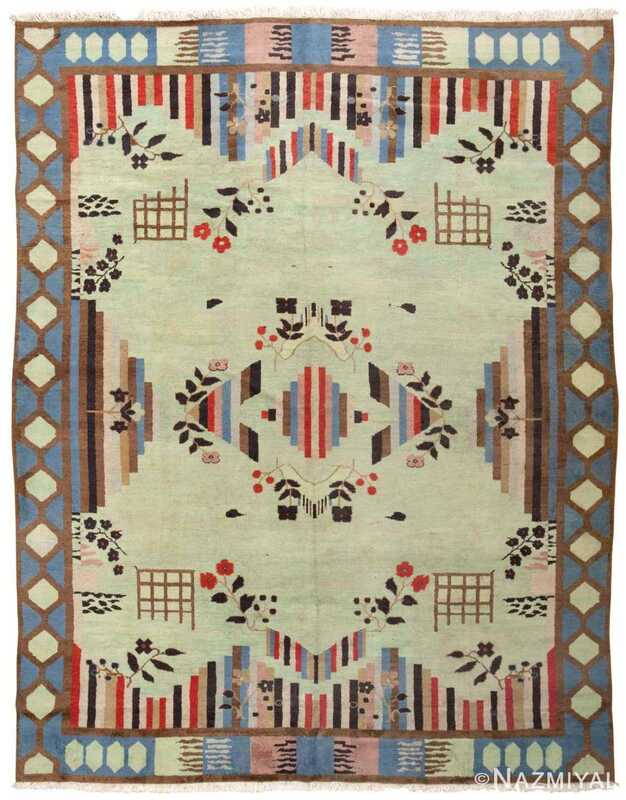 Vintage Art Deco Rug, Origin: India, Circa: Early 20th Century – Woven in India, this vintage Art Deco rug features a sliced medallion flanked by inverted chevrons and delicate floral sprays, characteristic of vintage rugs from the region. Handsome honeycomb borders woven in a striking combination of blue, celadon and brown, which are exceptionally fitting for the Arts and Crafts and Art Deco styles, frame the field with a towering columnar composition. 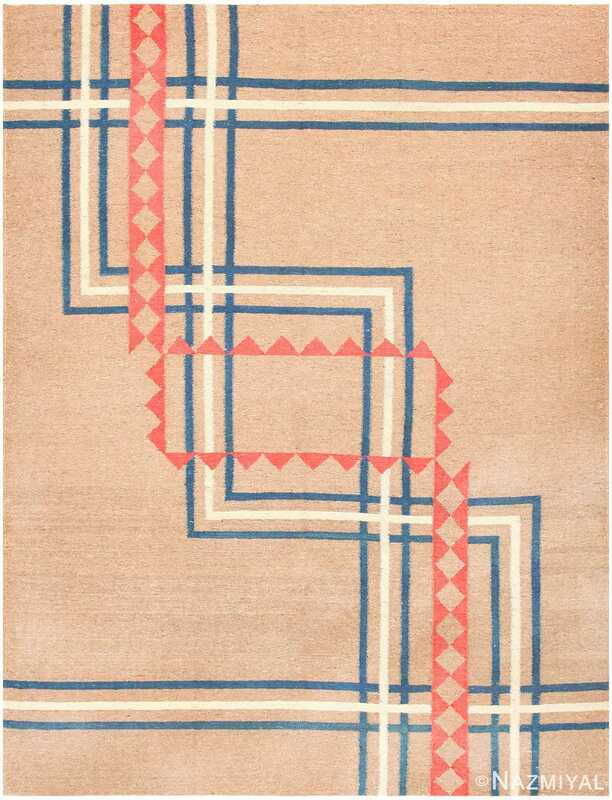 Polychromatic borders woven in a contrasting combination of cerise, peach, ivory, coco brown and blue surround the pale celadon field that features a subtle ivory abrash. Isolated floral sprays, trellises and abstract decoupage-like details dot the field with an airy composition reminiscent of a Nichols carpet. 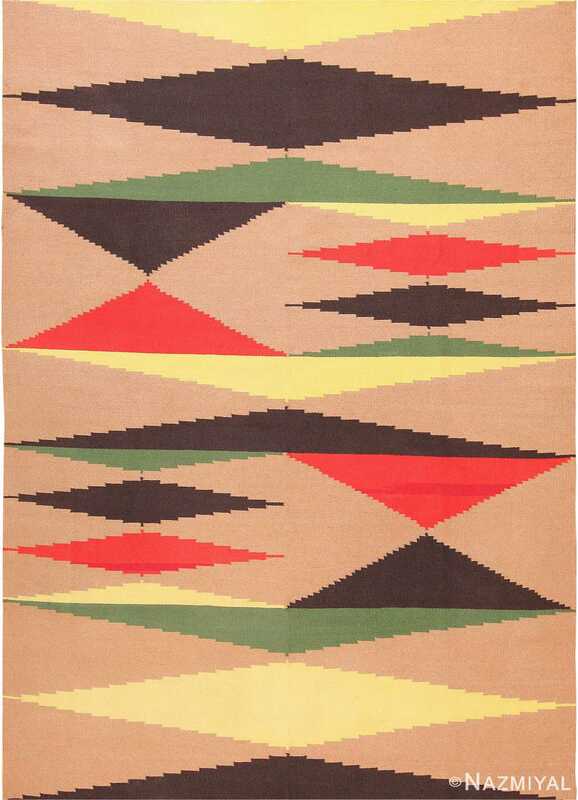 This fantastic Art Deco rug features a formal composition with organized elements that retain their casual charm.